In a very slow winter free agent market, there are plenty of viable starting pitchers for the San Diego Padres to consider signing. Here is a look at four who could fit a need for the team in different ways. It is starting to get late in the winter season and the San Diego Padres still have a glaring need in terms of starting pitchers for 2019. With a youthful bunch, the team desires hurlers who can toe the rubber each fifth day, and do so effectively. For lack of better words, they need an innings eater. A veteran. Acquiring a true ace pitcher doesn’t seem possible at this point. The price for Noah Syndergaard was seemingly way too expensive for the Padres. Adding a player with that kind of upside and three years of control is not easy. The Friars have also been linked to Corey Kluber and Marcus Stroman, but reports are they intended to flip the pitchers and not keep them. That is an interesting concept, but it does not help them with the current issue. The Padres appear to be waiting for the free agent market to die down. Their last two big free agent additions, James Shields and Eric Hosmer, were both made in the month of February. Perhaps the team is lurking in the weeds as they attempt to maximize what they get for their dollar. There is no harm in being patient if the market is slow. Expect the Padres to sign a pitcher or two and invite them to spring training eventually. There will be additions to the team as men will be allowed to compete for roster spots. Competing is something the Padres savor as they push all the young players on the squad to be better. They will all need to compete hard for roster spots this spring. The team would have it no other way. The following pitchers are capable of leading a staff by providing a veteran presence. All four are left-handed. Two are innings eaters, while the other two would be project-type pitchers who could emerge for the team. This left-handed, former Cy Young Award-winning pitcher is the best remaining option on the free agent market. He is rumored to be seeking a five-year deal worth over $100 million for his services. At 31, there is some reason to be concerned about that many years of commitment to him. However, Keuchel is not a high-velocity pitcher. He gets outs by keeping hitters off-balance and could have a productive career well into his 30’s. The four-time Gold Glove recipient was 12-11 last season with a 3.74 ERA and a 1.314 WHIP in 204 innings pitched for the Astros. He has suffered from back and shoulder issues in the past, but seems to be 100 percent healthy currently. 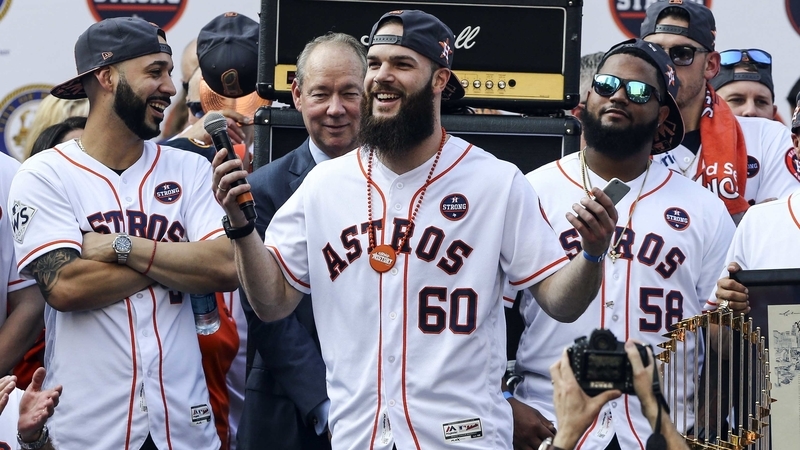 The Padres would probably not be the highest bidders for his services, but if he wants to join a young staff and help guide a team that is up-and-coming, then San Diego could be enticing to Keuchel. There have been only whispers of the Padres’ interest in the lefty, but that should increase in the coming weeks. A poor man’s Keuchel is this 33-year-old southpaw. Gonzalez is pretty reliable, throwing 171 or more innings in each of the last four seasons. He has also made at least 27 starts in nine straight seasons. The two-time All-Star is not going to blow you away with his fastball, but he mixes his pitches very well. 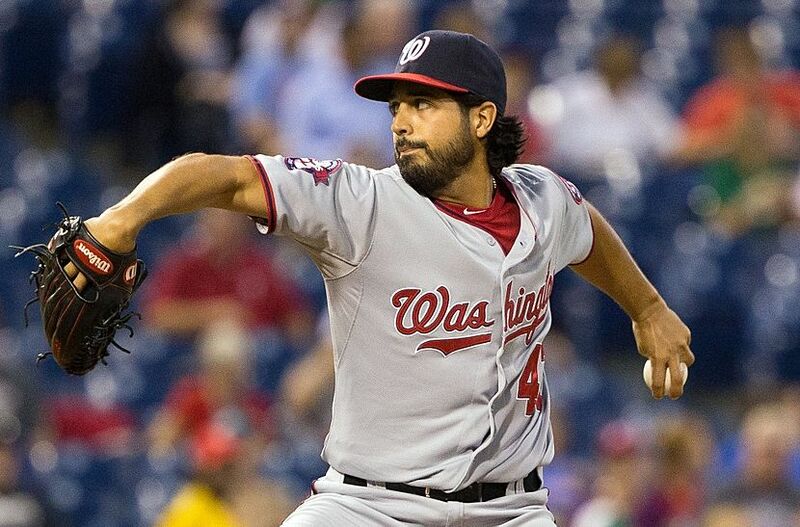 There are some issues with his wildness, which has always gotten him into trouble, but there is a lot to like about Gio Gonzalez. He spent 2018 between the Nationals and Brewers and was 10-11 with a 4.21 ERA and a 1.444 WHIP in 171 innings pitched. The thought is that Gonzalez could be had at a decent rate. He is not a top of the rotation-type pitcher, but he is capable of going out there when you need him. The market on Gonzalez will pick up once Keuchel is signed, as many teams will look at him as a backup plan. Expect the Padres to at least kick the tires on this veteran pitcher. 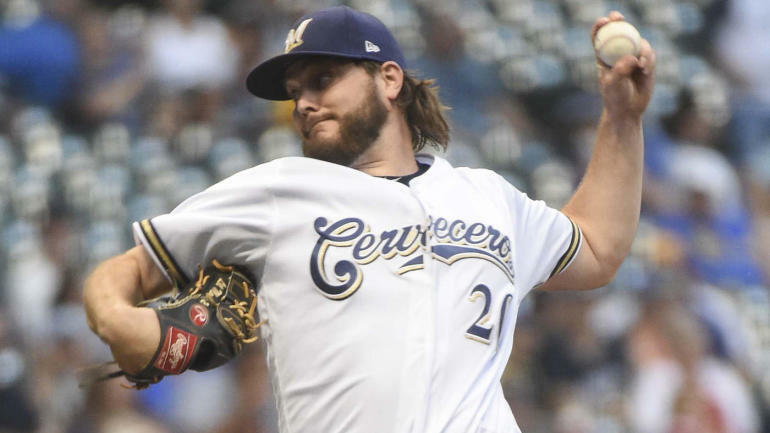 An oblique injury sidelined this left-handed pitcher last season, but he came on late in the year to be pretty effective for the Milwaukee Brewers. He was 5-2 last season in 80.2 innings pitched. He recorded a 2.57 ERA and a 1.215 WHIP in 16 starts. Miley is a soft thrower, but really knows how to pitch. He owns a career 4.26 ERA in 212 starts at the major league level. At 32, there could be some left in the tank for this pitcher. The Nationals, Reds, and Brewers have all been linked to him early, but nothing has come about as of yet. He will likely sign after both Keuchel and Gonzalez ink their contracts in the coming weeks. Wade Miley is not going to lead a staff, but he could be serviceable for a team looking for an innings eater in 2019. The price should be right for the Padres as they shouldn’t have to commit more than a few seasons to sign Miley and could get him on a one-year deal. Signing Pomeranz could seem far-fetched, but hear me out. The left-hander never had the success as he did in San Diego, and that alone is enticing, but Pomeranz is 30 and still very capable of being a decent major league pitcher. He clearly wore out his welcome in Boston and that tarnished his value. He could be a very inexpensive signing that could return to form under the guidance of Darren Balsley. A one-year deal could be beneficial for both the Padres and the pitcher. If all else fails, there is belief he could be an effective middle reliever for the ball club. Pomeranz is sneaky deceptive with his motion and fastball, and that could be effective in late innings for the Friars. At a decent rate, bringing Drew Pomeranz back could be an option for the Padres. He would have to prove his health is 100 percent as there are some concerns about that. The Padres have plenty of free agent options, and Drew Pomeranz is just one example of that. What they will do, is anyone’s guess. James, I agree with Todd 1000%. THOR was our guy, now we wait for Lamet and Paddock. We are set from the left side. I say none of those four. I agree with friarfire, let the kids pitch. If we can’t trade for a true “Ace”, I think the team should just let the kids pitch. Let’s see what Allen, Paddock and Quantril can do on top of returning Luchessi, Laur, Stratham. Plus Lamet will be back mid season, Richards next season. Both of them are probably locks. At some point, we might have to much good pitching. Rather spend $ on a 3B or high impact OF! Let’s see what we truely have and see if an addition is needed next season as the door opens to compete. James, personally I would rather the team sign or trade for a right handed pitcher as opposed to a LHP. They already have 2 guys coming back in the rotation that are LHP and adding Strahm to the mix. You combine that with the fact that we have four more LH starting pitchers in the minors that are ranked in the overall top 10 for that position, it would not seem to make sense to commit dollars to guys throwing from that side. I think that Keuchel is way too much of a land mine (think Shelds) to commit the years/dollars he wants. As for the other guys listed, there is some things to like about them but I would rather the kids get the innings and see what they can do.